Recent graduate Olivia Konotey-Ahulu reflects on three years of volunteering at a night shelter for refugees and asylum seekers. Her overview of the hazardous UK asylum process is peppered with her own encounters as she explains how men and women have come to be at the shelter and asks where they can hope to go next. Her words are drowned out as an Iraqi man rushes forward, his face taut with hope. “The Home Office is coming! Is the Home Office coming?” Another man, from Kurdistan, sniggers and slaps him on the back. “That’s right. The Home Office is coming!” he announces to the room, which erupts into bitter cheers and laughter. The night shelter is something of a last resort for asylum seekers and refugees in Coventry. Beth calls it a “stopping point until people can get back on their feet”. She and the inhabitants have taken pains to make the shelter welcoming even if it is cramped and bare, consisting of one large room in which men sit from 8pm to 11pm and then lay out their camp beds to sleep. Come 8.30am, everyone must leave until the shelter opens its doors again in the evening. In the narrow kitchen, there is a mug which reads, “Home is where the heart is”. Beth tells me that when the shelter first opened, bricks were thrown through the windows. I felt intensely uncomfortable on my first night volunteering at the shelter three years ago, sitting in silence as other members of the house bustled around me, ate, bantered, or scrolled on their phones broodingly. But, the shift went smoothly, largely thanks to the inhabitants themselves, particularly one man who took care of most of the chores around the shelter with a gentle smile. “It’s no problem, no problem,” he kept reassuring me. I would eventually learn that there is always someone like this at the shelter; someone who, however desperate themself, takes time to care for the space and people around them. One month later, I would find that this man had been told to leave, after violently losing his temper. Beth would say to me, sadly shaking her head, that in an environment rife with mental illness, it was always the most vulnerable people that the shelter had to ask to go. The men were primarily African, coming from the Gambia, Zimbabwe, Mali, Nigeria and the Congo, amongst others. Isolated individuals represented other parts of the world: Afghanistan, India and Jamaica. Over the past few years, it has become clear to me that these men (and now women also) do not represent the refugee population of the UK; rather, they are indicative of those who have slipped between the cracks of the asylum system. Some have been coming to the shelter for years, while others will only rest here for a night. 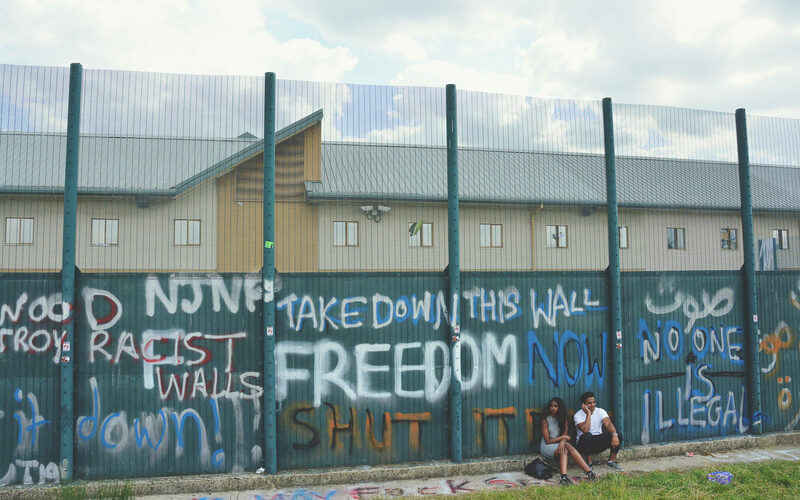 They have overstayed their visas, failed to claim asylum by the right date, or exhausted their rights to appeal, caught in a volatile limbo between detention, removal centres (such as Yarl’s Wood, pictured) and homelessness. I’ve talked to them over the years and tried to understand what they have experienced, how they have found themselves at the night shelter and what challenges they face living within the British asylum system. The first challenge: enter the country and initiate an application. Kirsty Linkin, a solicitor at the Central England Law Centre in Coventry, says that humanitarian protection is a “subsidiary” form of protection, often granted to persons not recognised as refugees because they do not show the requisite Convention reason for their fear of persecution (e.g. religion, political opinion, etc.). The Syrian Resettlement Programme allows vulnerable Syrians to enter the UK with this humanitarian protection for five years. To achieve the more elusive refugee status you must prove you have a “well-founded fear of being persecuted” for reasons such as your religion, race or sexuality. 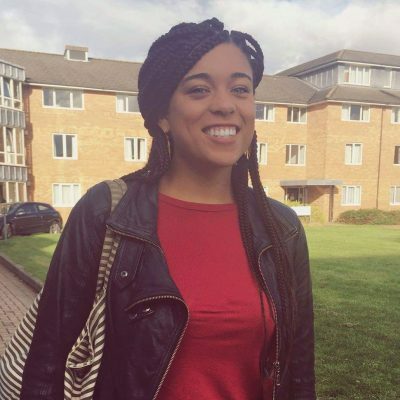 Linkin gives the example of a woman who, having left her country due to its intolerance of her sexuality, had her claim rejected because she was not openly lesbian in the UK. If she could pretend to be heterosexual here, the Home Office had reasoned, she could do the same in her own country, although this reasoning is contrary to procedure. You can either apply for asylum at the port of entry, or make a claim once inside the UK. If the latter, you may already have been living here for some time, but this route will present difficulties. Almamy Taal, a journalist exiled from the Gambia who now works with asylum seekers in the West Midlands, tells me that the system sets great store by deadlines. Officials often question why an individual didn’t make a claim upon entry rather than arriving on education or work visas and attempting to convert them later, as many at the night shelter have done. “Many years ago, the British came. They took my country and they divided it into four.” His eyes avoiding mine, his hands sliced gracefully across the table as he spoke. 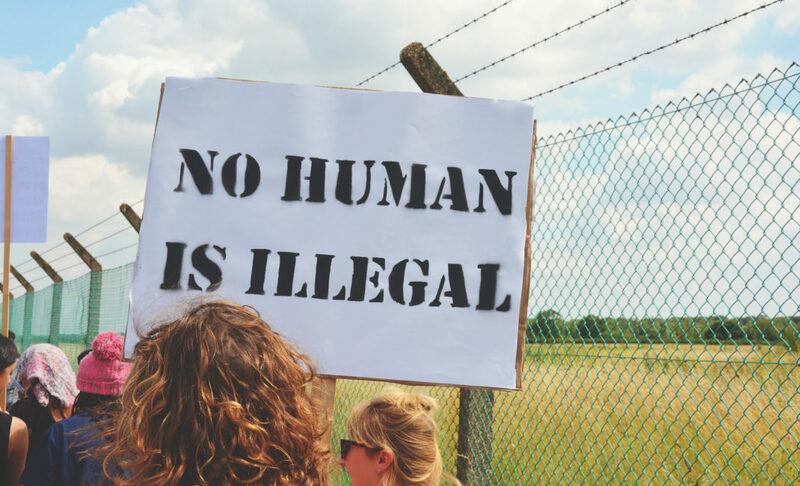 Once you have made your asylum claim, there is a “screening”, or an interview with an immigration officer, and then an asylum interview with a caseworker. The Home Office states that asylum appeals take around six months to process. In reality, it can take six months just to reach this initial interview stage. The BBC’s File on 4 reported that at some time around 2015” the whole system came to a standstill”. A deficit of staff and funds allocated to the asylum system had led to a huge backlog of cases. As a result, those claiming asylum had been thrown into an indefinite limbo, where they could wait two or three years to hear the decision of their first claim. During the period between screening and the final decision, you are generally neither permitted to work nor receive benefits. However, Linkin tells me, if an asylum claim has been outstanding for more than a year, the person may apply to the Home Office for permission to work, but even then, can only work in professions listed in the Occupational Shortages List. This list includes roles such as geophysicist and classical ballerina. For the majority of asylum-seekers unable to work, their state of perpetual waiting and uncertainty can have profound consequences on mental health. 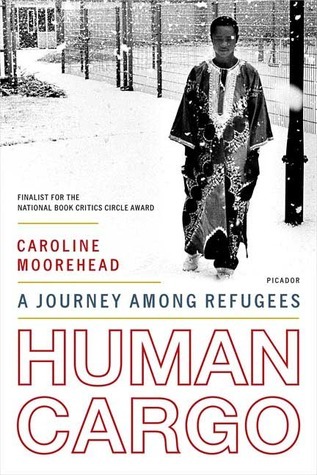 When Caroline Moorehead wrote about the asylum process in the UK in her book, Human Cargo, her report focused on a young man who had committed suicide, despairing of a life in which he had no control nor security. This account seemed mostly at odds with the optimism and everyday acts of generosity I encountered amongst the men and women at the shelter. But then two years after I started volunteering there, I picked up a book left in the storage room, compiled by former volunteers. In a brief segment near the book’s close, it describes how another young man had gone into the garden of the shelter and hanged himself. One evening, I was talking to a man about faith, very quietly (religion is always a contentious subject in the night shelter). As he sat on his camp-bed, fiddling with tying and untying the wrap around his waist, he suddenly started speaking about his family. I sat as still as I could, willing him to stop because I knew I could do nothing to help him. Bureaucracy and documentation are hallmarks of the asylum system. It’s vital to have your documentation in order for the screening process, primarily passports and travel documents. However, in the uncertain world of asylum seeking, producing the right paper trail is not always possible and some people, of course, resort to lying. Moorehead laments the fact that, in a culture where certain issues and stories gain capital, a market has developed for the “right stories” which will open the doors to British citizenship. Consequently, consistency is vital, and forms the basis of most decision-making, which is ironic in a system which is itself characterised by inconsistency (Linkin describes how she has seen two members of the same family receive different decisions on their application). File on 4 also reported on a broad “culture of refusal” in the Home Office. This includes an unwillingness to accept up-to-date information on humanitarian conflicts in applicants’ countries, misinterpretation of facts, and a plethora of human error. In 2016, the Chief Inspector of Immigration and Asylum found that over 20% of asylum interviews in files sampled were flawed. I was woken by a frantic pounding on the shelter’s door, almost two hours after it had officially closed for the night. The knocking continued so violently that, shaking, I went downstairs and opened the door. In the half-light of the lamp overhead, stood a man with one lump the size of a small fist on his neck, and another the size of an apple bulging from his cheek. We stared at each other for a moment, as I tried to understand what I was seeing. Then he thrust a shred of paper to me. It had a number on it, with a few scribbled words which didn’t make any sense. I panicked, as he started speaking to me and I couldn’t understand any words at all. For long minutes, we danced back and forth in stalemate, unable to communicate with one another. I couldn’t stop staring at the growths on his face. Eventually, I called a more senior volunteer who established that the man wanted us to call the number on the piece of paper to say that he was going to the hospital. I struggled to fall back to sleep as the man disappeared into the night. When you eventually receive the result of your asylum claim, if your application is successful, you will be granted five years’ leave to remain, after which you can apply to settle in the UK. If your application is rejected you will probably opt to appeal, but if you are once again unsuccessful, you are liable to be detained or removed from the country. Detention centres are, in essence, prisons for those who have not committed a crime. Some centres are indeed run by the Prison System for the Home Office, but seven of the UK’s 12 detention centres are operated by private companies – Serco, G4S, Mitie and Geo Group – which raises questions about profiteering from the incarceration of vulnerable people. Once there, you can be held indefinitely, even if this may be subject to judicial oversight. The UK is exceptional amongst the European nations in this. Beth has often mentioned to me her surprise at the brevity and frequency with which asylum seekers pass in and out of detention centres. It is common for those at the shelter to spend a week or two in detention before being released again, not knowing if and when they will be forced to return. Moorehead has written extensively about the mental and physical cost of being locked up when you are not only vulnerable, but innocent, which has been substantiated by recent reports of a spike in suicide attempts in detention centres. In 2015, 393 people held in detention tried to take their lives. In January 2017, three men in as many weeks killed themselves in UK detention centres. Over time, women started to appear at the shelter. They tended to keep to themselves in their room, but Beth was relieved that women were beginning to feel safe here. One woman from Tanzania, pressing my arm, said I reminded her of her daughter, although she looked youthful enough to be my sister. She was at the shelter because her asylum status had expired and she was unable to pay to renew it, losing both her job and her accommodation in one stroke. We had another three women regularly staying in the upstairs room. One week, I came in to find there were now only two. I sat with Beth and a few of the men staying the night, around the table, drinking tea while Beth updated us on what had changed. The third woman had been detained. I looked up, startled at the sharp intake of breath around the table, as though everyone had been winded. Later, some of the men were bragging a little. “I was in there for three weeks”, one said, and the others whistled appreciatively. Another mentioned he was detained for two months, but remained quiet about it. By now, you have applied for asylum status, gone through screening, awaited the outcome of your application and, if unsuccessful, appealed your case, possibly passing in and out of detention centres all the while. If you have exhausted your rights to appeal, or made any missteps during your navigation of the system, you may be removed from the country. For the time being, you are stuck in limbo, a stateless citizen and inhabitant of no-man’s land. In short, you are an illegal immigrant. Despite the failure of your application, the Home Office will not necessarily take action to remove you from the country, so you may find yourself back in a detention centre, or you may be left alone. As of November 2016, anyone who hires you for work can be prosecuted. Anyone who rents property to you can be prosecuted. If you have a bank account, it can be frozen, and if you have a driver’s license, it can be revoked. For now, you come to the night shelter. It was a Sunday winter morning and I was walking away from the shelter after closing for the day, hands clenched in my pockets against the cold. As I walked past the park, I recognised the billowing hijab and round face of one of the women who stayed at the shelter. I had noticed her at breakfast that morning, taking huge quantities of bread. She was now bent over by the water’s edge, tearing off bits of bread for the ducks. It was the first time I had seen her smiling. Hours later I walked back past the park and, seated on the bike of the outdoor gym, the woman was still there, slowly pedalling away the hours until the shelter opened once more. For more student-led content try Helen Bates’ story about fighting the injustice of being “Pregnant then screwed”.